working fine on a SheepShaver virtual machine under Windows. This is a long journey, started in 1991 when Reto Kromer began emulating Z80 and 6202 architectures on 860x0 architectures. 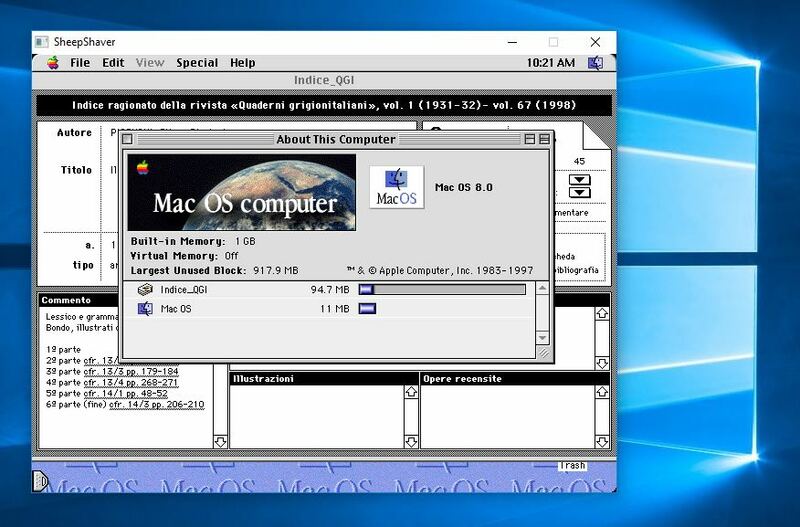 Today the emulation of many 6502, 680x0 and PowerPC-based Apple computers on modern x86_64 architectures under Linux, macOS and Windows is a reality. For the benefit of the future generations, the source code will become freely available, as soon as the biggest legal issues are resolved. To publish the ROM’s content and the BIOS firmware is indeed a problematic endeavour… We are working on a «fair use» solution, in order to make preservation of computer and media history possible. In the meantime the PDF of the current man page is publicly available, which contains additional information about the implementation.